You may recall from your reading of the Ramayana that Lord Rama had to rescue Mother Sita from the demon king Ravana who was holding her captive in Lanka (aka Sri Lanka), an island south of India. 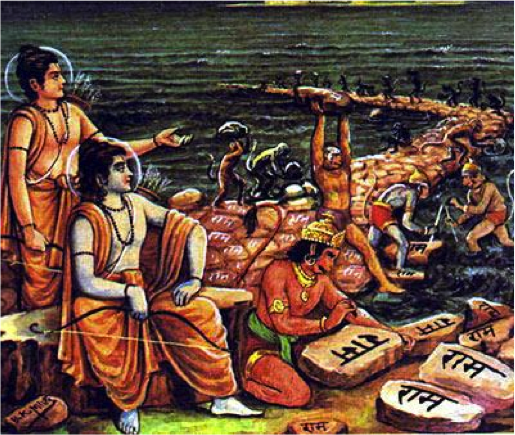 Hanumanji, Lord Rama’s comrade, with his army of monkey-men built a “bridge,” or causeway, across the narrow strait from India to Sri Lanka to reach the island, in order to save Sita. There, a great battle took place before Lord Rama and Hanuman defeated Ravana and liberated Sita. This occurrence was said to have ensued in Tretha Yuga, which was more than 1.7 million years ago. 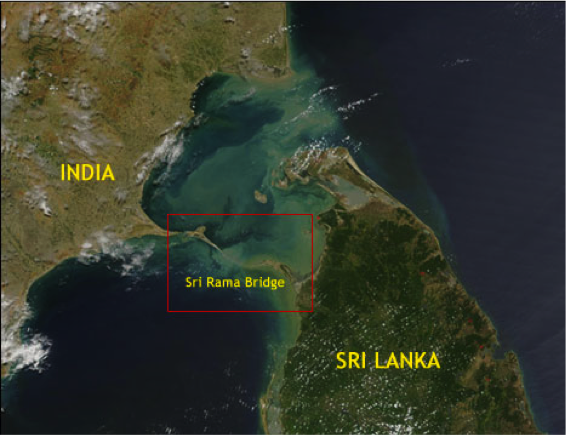 Only recently has NASA revealed a mysterious ancient bridge in the Palk Strait between India and Sri Lanka; another opening to the spiritual gates of people all around the world who have come to know an ancient history linked to the Indian mythology. Today Rama’s Bridge or Rama Setu can be seen from the sky while traveling by air. This ancient bridge is submerged under water, but the satellite images give the perfect view of this bridge of mythological significance. Let this be a reminder to all of us to appreciate another one of Bhagwan’s beautiful manifestations! You may be wondering why there is a picture of this cute, little squirrel. Well, according to tradition, the squirrel helped build the causeway by rolling sand grains down to the water. 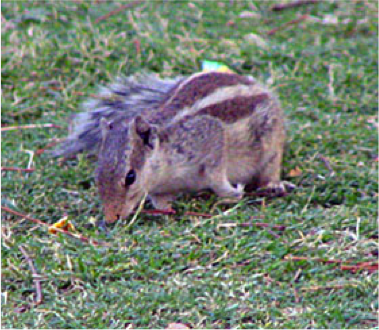 Therefore, as a sign of gratitude, Rama is said to have stroked the back of the squirrel which is why all Indian squirrels have the three dark lines on their backs from where the three fingers of Rama touched them.